I can run, but even if I increase my speed with great diligence and practice, I am still limited. I can increase my strength and thereby the amount of weight I can lift, but I am still limited. I can increase my finances, but at some point there is no more time in a day for me to earn more money and I find myself limited. We are limited beings. We can only be in one place at a time. We can only experience one time at a time. We can only achieve certain levels in any area of life because… we are limited. I can grow, learn, expand, train and do all I want, but at some point I push my limits. Others may have limits beyond mine, but they too are limited. “Wow, Allen… thanks for that. I thought this was called ‘Up.” How is this encouraging or motivational? We know we are limited. 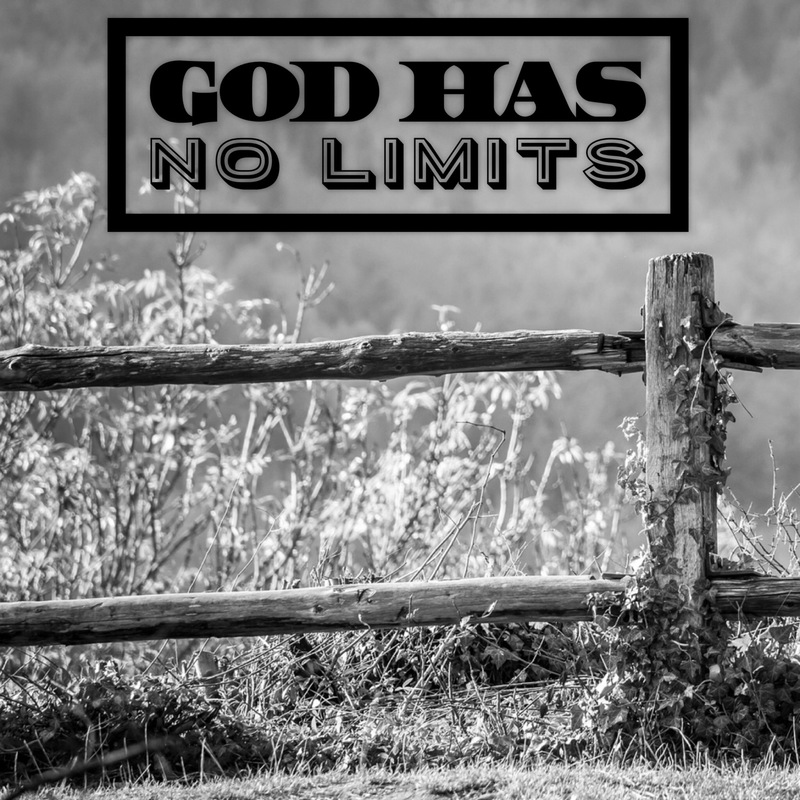 Although we are limited, God has no limits and therefore will never come to a place where He is pushing them. How crazy is that to imagine? He never pushes His limits… because He has none. God is not limited by distance… or time… or finances… or strength… or knowledge… or speed… or… well, anything. There is no way in which He is restricted or limited. He can accomplish anything He chooses. This is one of the things I love so much about Him. I love that, when I have come to my limits, He can go so far beyond them. When I am tapped out in some area of life, He is barely even getting started. Nothing I face is too big for Him. Nothing taxes Him or wearied Him. Nothing stretches Him or stresses Him. He can always out-do Himself. There is no end to His excellence. There is no stopping His abilities. It’s mind-boggling, really. And that’s great! Because it means that everything that seems out of reach or possibility or reality for me is not for Him. He can do what I cannot on my own. So, He lets me go as far as I can. And when I am weak and winded and weary, He asks if I would like His help. Does He even have to ask? Of course I do. And He steps in and surprises me again with His limitlessness. So, what are you facing today where you have reached your limits? Are you at the end of your money? Are you at the end of your health? Friends? Joy? Time? How about engaging the Limitless One and inviting Him to step into your situation? There is no barrier… or fence… or law of physics which can prevent Him from blowing right past all limits on your behalf. Go ahead. Give Him a try. He’s not even gonna break a sweat.